Moscow-based SMP Racing took its debut LMP2 victory in the European Le Mans Series, and the first for the new-for-2017 Dallara chassis. when Matevos Isaakyan, driving the #27 Gibson-powered Dallara P217 he shared with Egor Crudzhev, crossed the line 1:27.817 ahead of the second-placed #22 G-Drive Racing ORECA 07 driven by Memo Rojas, Nicolas Minassian and, taking the final stint, Léo Roussel. Taking the final podium spot in the LMP2 class was the #32 United Autosports Ligier JSP217 driven to the chequered flag by Filipe Albuquerque, in the car he shares with William Owen and Hugo de Sadeleer. However a post-race penalty for speed limit infractions during the Full Course Yellow periods demoted the #32 entry back to fifth. This promoted the #39 Graff entry piloted by Eric Trouillet, Paul Petit and Enzo Guibbert to the final podium spot. Victory in the LMP3 class went to the #2 United Autosports Ligier JS P3 piloted by John Falb and Sean Rayhall which was pushed hard to the line by the #13 Inter Europol Competition Ligier in which Jakub Smiechowski and, taking the final stint, Martin Hippe closed to 2.418 seconds at the chequered flag. Third in the popular LMP3 class was the #18 M-RACING YMR Ligier driven by Alexandra Cougnaud, Antoine Jung and Romano Ricci. 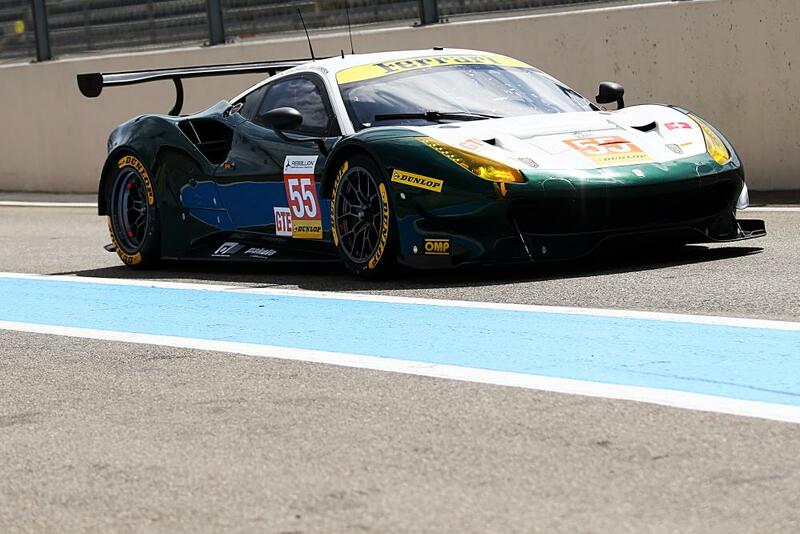 The LMGTE class saw a comfortable victory, the second of the season in the European Le Man Series, for the #55 Spirit of Race Ferrari F488 GTE driven by Duncan Cameron, Matt Griffin and Aaron Scott. Second in the LMGTE class was the #90 TF Sport Aston Martin Vantage V8 driven by Salih Yoluc, Nicki Thiim and Euan Hankey. Ben Hanley in the #21 DragonSpeed ORECA 07 led the field from pole position. Early contact between #32 United Autosports Ligier JSP217 with Hugo de Sadeleer and the #47 Cetilar Villorba Corsa Dallara P217 driven by Andrea Belicchi meant a spin for the #32 car and a penalty for Belicchi. 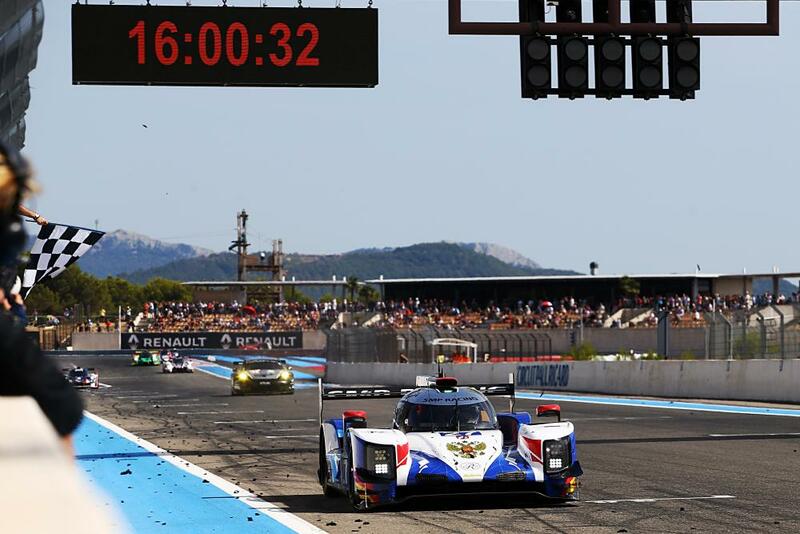 The #27 SMP Racing Dallara, piloted by Matevos Isaakyan, led after the first pit-stops had cycled through and driving partner Egor Orudzhev increased the #27 car’s lead to 44 seconds over the #39 Graff ORECA 07 driven by Eric Trouillet. Following the third driver change, Nicolas Minassian handed the #22 G-Drive Racing ORECA 07 overt to Léo Roussel who re-joined in fourth place. Roussel then put on a charge and, with 70 minutes left in the race, was back up to second, some 53 seconds behind Orudzhev in the #27 SMP Racing entry. Roussel managed to pull the gap back to just over 20 seconds but two Full Course Yellow periods in the final 30 minutes of the four-hour race meant that he was unable to challenge further for the lead. The SMP Racing duo of Matevos Isaakyan and Egor Orudzhev were delighted with the team’s first win in the European Le Mans Series. 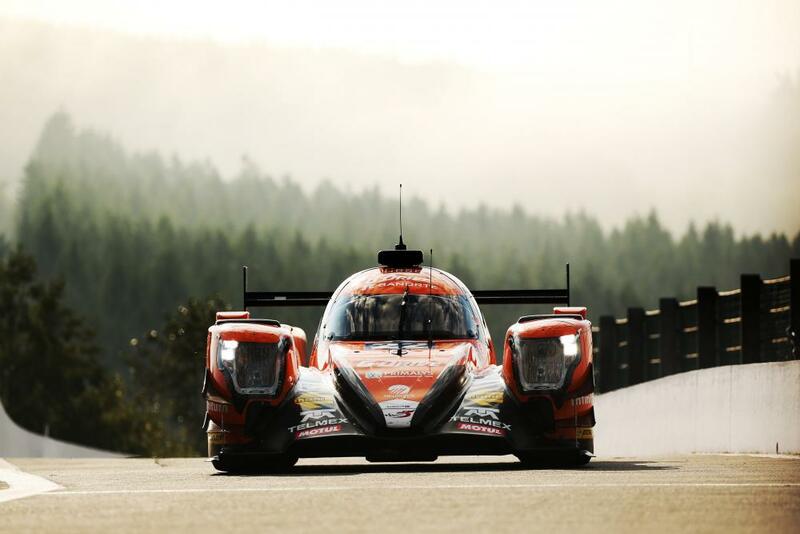 Matevos Isaakyan was cautious as to whether #27 car will return for more rounds of the premier European endurance championship, bearing in mind that the team is hard at work developing its LMP1 car. “We will see” said Isaakyan. “We will discuss as we’d like to do more rounds so hopefully we will come back and win some more. In The LMP2 Teams Classification the #22 G-Drive Racing entry now has a 12-point advantage over the #32 United Autosports entry, now on 68 points. In third, on 49 points, is the #39 Graff entry. 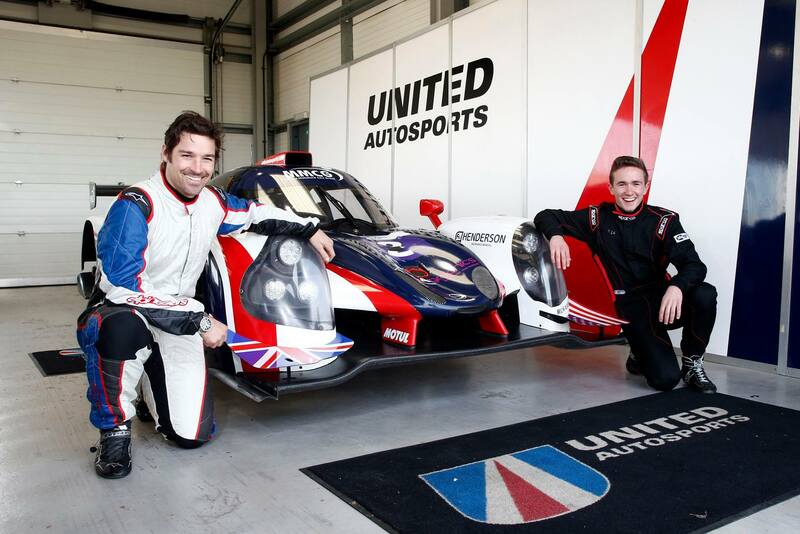 Winning the highly entertaining and competitive LMP3 class was the #2 United Autosports Ligier JS P3 in which John Falb took the chequered flag in the car he shares with Sean Rayhall. Chasing the #2 car all the way to the line was the #13 Inter Europol Competition Ligier JS P3 in which Martin Hippe, sharing the driving duties with Jakob Smiechowski, closed the gap to the leading car by just 2.418 seconds at the chequered flag. Inter Europol Competition’s second place meant that, for the first time in ACO-sanctioned racing, the Polish flag flew on the podium. Third in the LMP3 class was the #18 M.RACING-YMR Ligier driven by Alexandre Cougnaud, Antoine Jung and Romano Ricci. In a frantic opening few minutes of the race, the #15 RLR MSport Ligier JS P3 driven by Alex Kapadia took the class lead, followed by Alexandra Cougnaud in the #18 M.RCING-YMR Ligier, Cougnaud later being a penalty for a jump start. Sean Rayhall took the first stint in the #2 United Autosports Ligier and moved the car from fifth on the grid to the class lead. Co-driver John Falb hung on to bring the #2 car home for the win. Sean Rayhall was delighted to take his second win of the season. 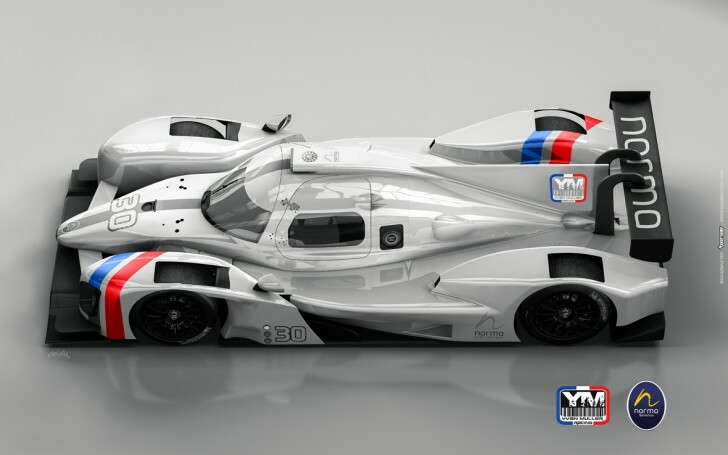 John Falb was pleased to have added to the #2 car’s lead in the LMP3 standings. The #2 United Autosports entry now has a 12-point advantage over the second placed #18 M.Racing-YMR entry on 58 points. Five points further back, on 53 points, is the #17 Ultimate entry. The LMGTE class saw a convincing win by the #55 Spirit Of Race Ferrari F488 GTE in which Matt Griffin crossed the line in first place after solid performances by co-drivers Aaron Scott and Duncan Cameron. Second in the LMGTE class was the #90 TF Sport Aston Martin Vantage V8 driven by Salih Yoluc, Nicki Thiim and Euan Hankey, 1:09.345 back from the winning #55 entry. Taking the final podium position was the #55 JMW Motorsport Ferrari F488 GTE driven by Robert Smith, Jody Fannin and Jonathan Cocker. As far as Matt Griffin was concerned, managing tyre wear was the key to the win. “Yes, 46 yesterday and we couldn’t have hoped for any better than this,” said Duncan Cameron, whose birthday fell on the Saturday qualifying day. TF Sport now have a narrow two-point advantage over the second placed #66 JMW Motorsport entry on 68 points. The #55 Spirit of Race Ferrari F488 GTE sits in third, four points back on 64 points. The fifth, and penultimate, round of the 2017 European Le Mans Series takes at Circuit de Spa-Francorchamps on September 24.